Halloween will be here soon. While this is a fun time on and excitement for many children. Those with sensory processing challenges can have difficulty navigating the extreme sensory experiences. From costume textures to scary noises and spooky decorations. It can add up to a lot of sensory information to experience and process. 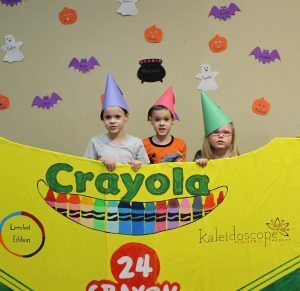 This doesn’t mean your child has to or should avoid Halloween altogether. Here are some guidelines to help prepare your child. If your child has sensory processing challenges, you’ll likely want to follow these initial guidelines for multiple aspects of the child’s life. You can use these to prepare for Halloween, and then modify them for other experiences as well. Make a book or schedule of events to expect so that child has an idea ahead of time what he/she will encounter. If after trying all these task, your child is still having trouble, consider creating new Halloween traditions * (see resources below). Perhaps your child loves wearing his/her new costume. But if your child has tactile sensitivities it is likely it could be a struggle to have your child wear a costume. Start your preparation early. Get costume a month or so early and slowly introduce it. Take your child shopping for the costume. Have your child touch costumes in the store. 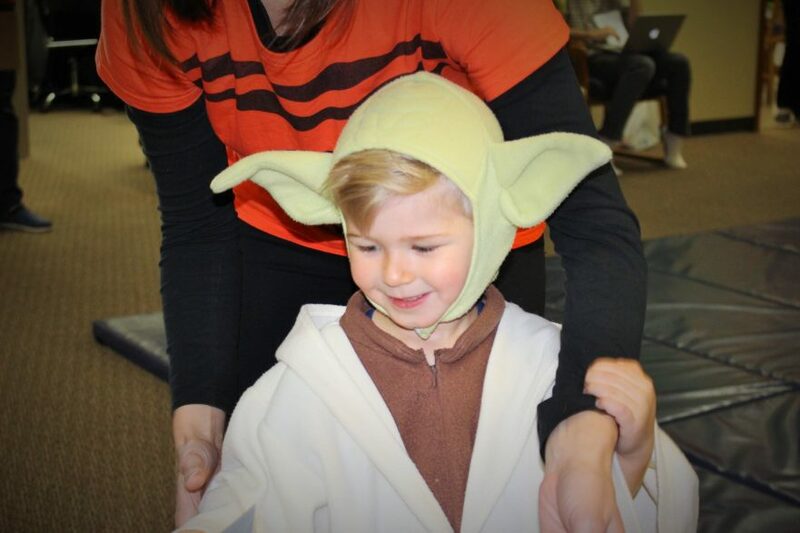 To help child get used to the costume, engage child in daily family dress up time 3-5x/week for 2-4 weeks prior to costume events. Increase time period of wearing costume as the days get closer to the event. Are there multiple pieces. Try introducing one piece at a time and slowly building up. Tend to feel, look, and smell different than regular clothing. Try the following tips to address sensitivities. When possible try to choose a costume that has a fabric your child tolerates well. For example, choose cotton over polyester, etc. Consider/try lining the inside of the fabric with a soft cotton or fleece. *Or have your child wear comfortable clothes/pajamas under the costume. If your child wants to wear a mask, have him/her wear it around the store for a few minutes to ensure he/she tolerates it. Try the following techniques to prepare your child’s nervous system. If interested in trying it, let your child paint your face. Try having some face painting nights in the weeks leading up to Halloween. Bring wet wipes/ make up remover wipes along with you the night of to comfort your child that you can remove the face paint if it becomes uncomfortable. Make a cape from a soft bath towel. Attach ears to a favorite hoodie and a tail to some sweatpants, to become a cat, dog, rabbit or other animal. Go to a store with lots of Halloween decorations and have your child feel and experience the various decorations and noises they make. Brainstorm with your child all the possible noises they might hear during Halloween and Trick or Treating and practice making those noises together. Pull your younger child in a wagon or let your older child ride his bike to avoid having other kids crowd or bump into him. 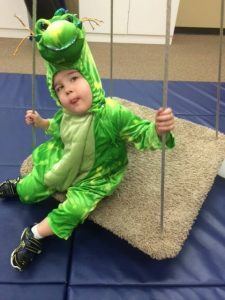 Sensorimotor activities to utilize before the sensory experience (ie, before introducing costumes, before going trick or treating, etc.) Can also be utilized during and after. Wishing you all Happy Halloween!! 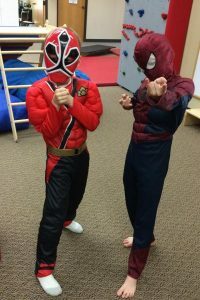 (*) Halloween Challenges for Kids With Sensory Processing Issues and How to Help. Morin, Amanda. (2014-2018).